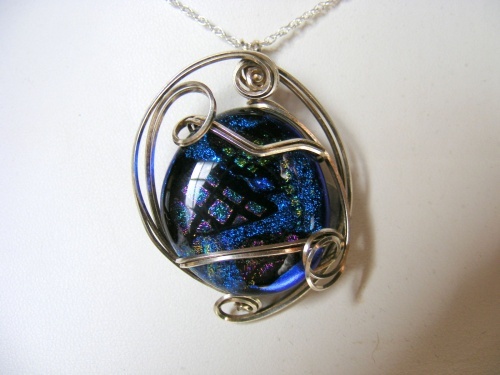 This piece has colors of blues and pinks, greens and black. This will match any outfit and truly make a statement. Piece measures 1 3/4" and is wrapped in sterling silver curls. Comes with an 18" sterling silver chain.